I absolutely love ferris wheels and when I heard Seattle recently installed one I was beyond ecstatic! It is located right behind Pike's Market on Pier 57. A ride on the wheel takes you 175ft. up, extends 40 feet over the pier and gives you beautiful views of Elliot Bay, the Space Needle and downtown Seattle. It's a must see attraction if you are visiting the area! It is the largest wheel on the west coast. Each gondola can seat up to 8 people (comfortably 6) totaling 300 on the Great Wheel at once. It cost $20 million to build the wheel and it took 550 tons of concrete for the foundation to hold its weight of 280,300 pounds. The wheel can operate in any weather up to 55mph winds, which is great with the rainy weather! I highly recommend the visit! 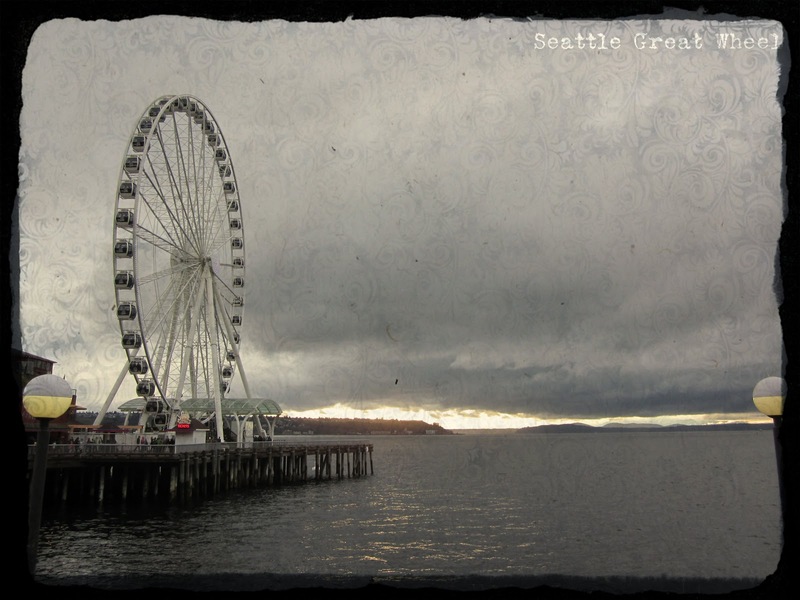 The Wheel was phenomenal and it adds a neat element to Seattle! i love that photo! i'm glad you had fun with the fam!